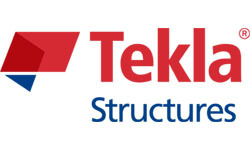 Within the Design-Build-Operate concept, the central component, “Build”, encompasses a vast number of concepts and technologies that eventually determine the success of any given project. 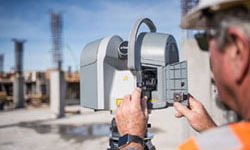 From comprehensive Project Controls solutions like Prolog, to Trimble’s robotic field layout and QA/QC hardware solutions, the opportunity to leverage a customised technology workflow provides an amazing upside for contractors of all shapes and sizes. 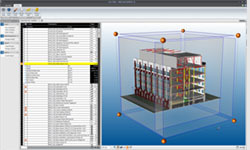 In addition to these more traditional solutions, Trimble’s seamless integration throughout the entire building construction lifecycle ensures that forward-looking contractors can successfully implement robust 4D and 5D modeling and construction planning processes, finally taking advantage of the promise and power of a truly efficient BIM workflow. 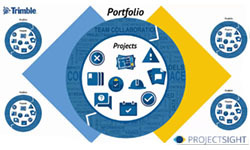 Prolog provides cost control, streamlining the project information workflow and providing access to information from anywhere. Prolog Mobile enables all project participants to capture and retrieve project information on mobile devices that are affordable and available to everyone. 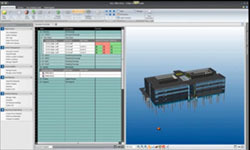 Layout solutions is design to bring BIM to the Field. For you to take the highly accurate and clash checked model and translate it through layout points into the real world. 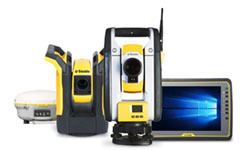 Trimble ProjectSight keeps contractors and subs in sync throughout the building process. 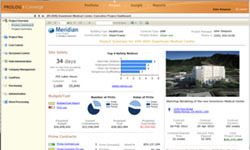 It’s mobile project management that thinks like a construction pro. 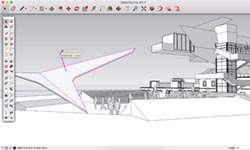 Vico Office delivers a different way of working with BIM models. Used for much more than visualisation, Vico Office extends the basic 3D model with constructability analysis and coordination, quantity takeoff, 4D location-based scheduling and production control, and 5D estimating.